The Cups and Saucers quilt block is the perfect pattern choice to learn a variety of piecing techniques. It contains flying geese, half square triangles and a square in a square patch. 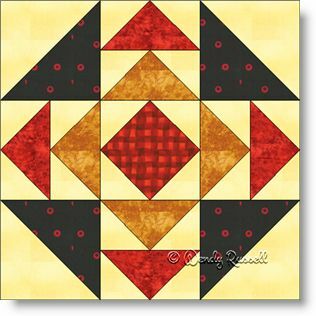 A great nine patch quilt block for beginners to advanced quilters alike. The two sample quilts shown are wonderful examples of how different a quilt can look, just by changing the quilt block orientation from side by side to an "on point" setting.